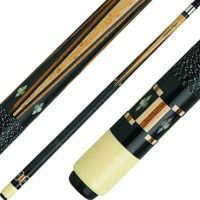 The best Pool Cue brand for me would depend on how comfortable it would be when playing with me and in the alternative whether I would be pleased with it. It is two-way traffic, and as much as I would like it, the Pool Cue too should be able to perform for me, when this chemistry would realize, would I be able to master my game and be satisfied that this the best Pool Cue, for me. Price may not be the criteria if the Pool Cue fits into my hands and bids my command, and that is when I strike the ball it should strike where I would want it, and it should ensure the ball drops into the pocket. The primary objective is to pocket the ball I strike with the Pool Cue, and just because I paid a few hundred dollars more than what I would pay another would not ensure great potting for me in a game. Among the many aspects that I would look for, in the best Pool Cue brand that I would eventually select for my game would be the balance the Pool Cue would need to have in my hands so that it could enhance my game. Among the Pool Cues that I have played with over the years, I find that the Balabushka has the right balance for me and that it understands my game, like how I would like it. The Balabushka has performed well in every game that I have played with it and has given me the confidence to increase the level of my game. The Balabushka is the brainchild of George Balabushka one of the most respected and world renowned Pool Cue manufacturers who brought out some of the best to outshine every other brand at major tournaments. George Balabushka was a Russian who immigrated to the United States when he was 12 years old in 1924, and after working in different professions, he bought a pool room in 1959 with another friend. He was an avid Pool enthusiast and turned out Pool Cues which he sold at his pool room, they snapped up quickly but his untimely death in 1975 at the age of 62 years left a void in the Pool Cue manufacturing industry due to his influence in it during the short 16 year period. George Balabushka handcrafted about 1,200 Pool Cues during this time, and today they are all collector items which are snapped up for thousands of US dollars, which shows immense respect and value for his Pool Cues. Balabushka’s Pool Cue’s were the first to introduce the Irish Linen wrap for enhanced grip which has become the standard now, and his concentration to detail was more on how a cue would perform rather than on exquisite design. Pool Cues became elaborate and elegant pieces of design and art after the 1980’s, long after Balabushka’s death some of what he introduced are incorporated into present-day cues. 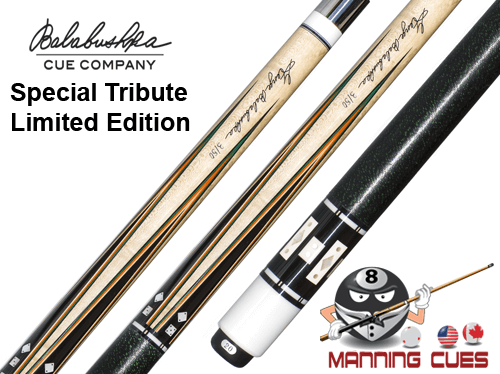 To honor him, George Balabushka was posthumously selected as the first inductee into the Hall of Fame at the American Cue Makers Association, and his name lives on in some of the best Pool Cues manufactured under his name incorporating his innovative and unique techniques. If there is a Pool Cue that you would like to have, then there is none other than a Balabushka which are all manufactured in keeping with the traditional and original designs that they incorporated into during its founder’s era. If there is one Pool Cue that I would be comfortable with then that would surely be a Balabushka and none other as it has everything that George Balabushka envisaged in every one of them.